It is with great sadness that we announce Claire’s sudden passing on Saturday, January 19, 2019. She is survived by her loving family: daughters Mary (Frank) Beyea, Mona Foreman (Cosimo Geracitano), Laura Jean (Louis) Pomerleau and Katherine Genereux (Gerry Norton), son Jason (Alicia); 10 grandchildren: Andrea (Al), Matthew, Natalie (Marcin), Angelique (Matt), Simone (Taylor), Alexander, Austin (Megan), Emma, Rachel and Adam; 5 great grandchildren: Abigail, Odin, Zoe, Aiden and Elena; sisters Jeanne Lavigne, Elise (Roland) Gaucher, Marie (Cec) Thomson, sister-in-law Rose Arsenault and numerous nieces and nephews. She was predeceased by her husband Gerald in 2008. Claire was a devoted mother and grandmother who loved her family deeply. She was a passionate hockey fan: sadly but poignantly, she passed away so suddenly on her way to her grandson’s hockey game. She loved her church and was devoted to service with the Catholic Women’s League for many years. Prayers will be recited on Thursday, January 24, 2019 at 7:00 pm at St. Pius X Catholic Church, 1077 Fuller Ave, Kelowna, BC. A Funeral Mass will follow on Friday, January 25, 2019 at 11:00 am, also at St. Pius X Catholic Church. The prayer service for GENEREUX, Claire is scheduled for Thursday, January 24, 2019 at 7:00 pm at located at 1077 Fuller Ave, Kelowna, BC. 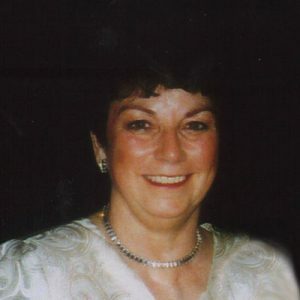 The service for GENEREUX, Claire is scheduled for Friday, January 25, 2019 at 11:00 am . Below you will find the map for the service location and the contact information should you have any questions. Please know how much you are loved and how deeply your loss is felt by all. You are in our thoughts at this sad time. A la famille de Claire, nous partageons votre peine et nous sommes avec vous en pensée. Salutations à Marie et Elise, Affections, Alfréda & Héribert. I was saddened to hear that your Mom passes away. My thoughts are with you and I wish you comfort.